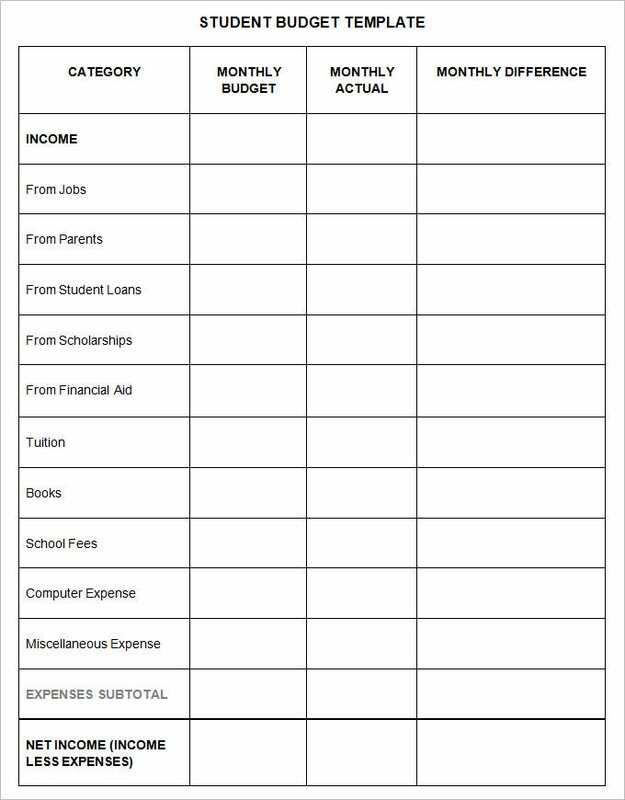 3+ Student Budget Templates – Free Word, PDF Documents Download! Educational institutions are business units in themselves. It is imperative that the leaders of the schools and other educational institutions must make an analysis of the income that is being done by them and also the expenditure that they need to make. This is one of the best ways through which the school can plan the investments that need to make for the overall development of the students. At the same time these student budget template can help to make a budget for the schools that can help to make the operations of the school profitable. You can also see college budget templates. This is a template design that can be downloaded from the internet with ease. They are available in the forms of word doc and PDF. The template has a very formal and professional background. These templates can support a detailed table format that will contain all the information of the total income of the college and also the expenditures that needs to be made for the development of the students and also the college as an institution. The template layout can also mention the various heads under which the income and the expense of the college can be mentioned. This is a template that has been provided with an array of great technical features. 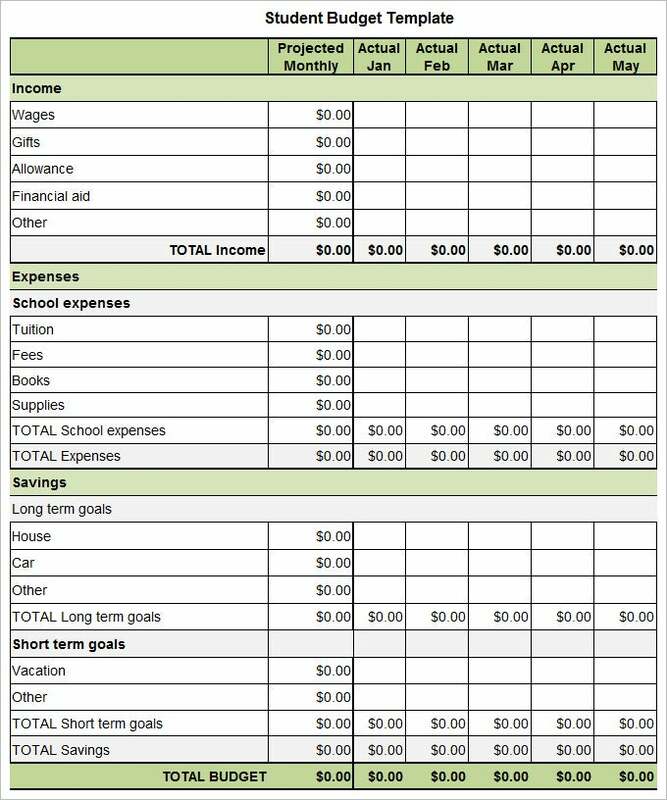 The student budget template is fully editable. The user can make changes and editing’s and can feed in information as per requirement. The template has hundred percent responsive features that make the template layout fully navigable. The resolution range of the template is very good that enables the user to get great quality of printouts. The user can download and employ this design to make some of the most effective budget for students in schools, colleges, and universities. The format of the template is very simple and sticks to the basic. This is one of the reasons why the template can be used for different levels of educational universities. The format of the template is simple and very formal in nature. You can easily get it in the forms of word documents and PDF. What Is A Student Budget Template? This is a format that can be used for the purpose of making a budget plan for various kinds of educational institutions. This ready to use format can simplify the work of the user and can have a lot of time. 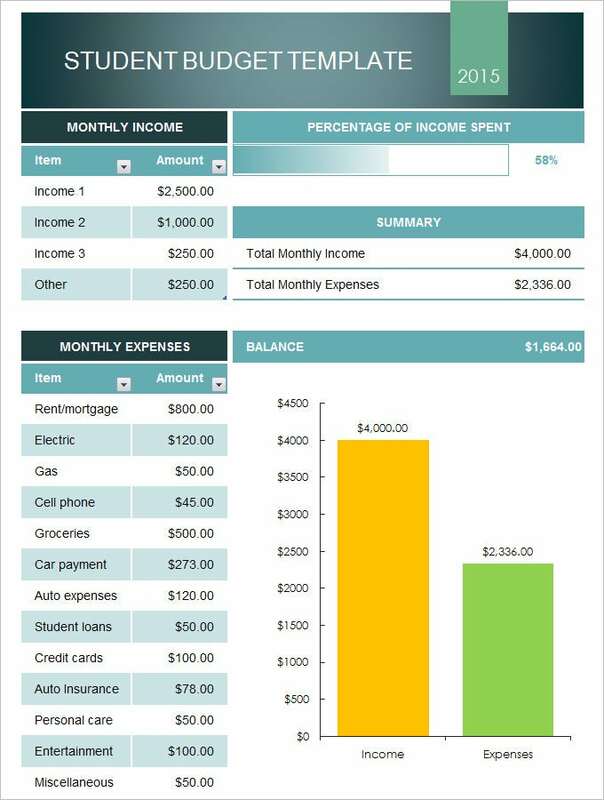 The user can readily get this project budget template layout and start with feeding in of the information. Who Can Use Student Budget Templates? The major audiences who are going to be targeted by these template designs are the various educational institutes such as the schools, colleges, and universities. Even the allied training institutes who are offering courses in computers and other educational paraphernalia can use these templates. How to Create a Student Budget Template? The templates should be able to support a table format. The tenure of the budget has to be fixed beforehand. The most important of all the benefits that can be enjoyed by using these templates mention can be made especially of the time savings that can be enjoyed by the user of these templates. These templates which can be downloaded for free are professionally made designs that will help the user to make a detailed budget for the students. 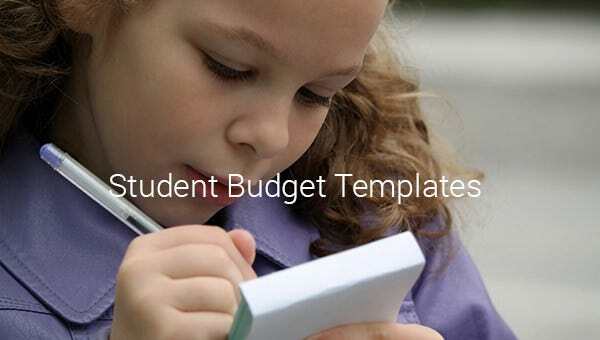 These templates are some of the best tools available over the internet for the purpose of making effective student budgets. They can prove to be very significant for the growth of the students and also the institution n as a whole. If you have any DMCA issues on this post, please contact us!